“What’s up with this ‘one’?!! !” („Was ist denn das für eine ‚eins‘?!! !”) Discrepancies between live- and studio-performance and the consequences for musical efficiency of artists/bands in the recording studio. Why do even accomplished musicians for example suffer from the so called „red-light fear“ once the recording process begins? What effect does the idea of the highest possible transparency of the audio-material have on the playing technique and what does that mean for the agents? Are there specific reasons why certain studio-situations are more strained or affected by higher expectations than others and in what way do discursive formations from internal and external provenance shape these configurations between agents? The paper draws from data that was collected from 2011 to 2014 in several Berlin recording facilities and rehearsal rooms. The data will be reflected in my PhD-thesis in musicology that deals with the role and function of the producer in popular music. The manner of collecting information consisted of participant observation and non-structured interviews. The analysis of the data is carried out with a specific model which seeks to combine elements of Pierre Bourdieu’s analysis of the field of cultural production as well as Michel Foucault’s analysis of power-relations, their origins and the technologies to sustain them. Roland begins with an overview of the presentation’s structure and then looks at limiting factors in live performances e.g. lighting states affecting performance, poor monitoring, the (tour) stage doesn’t support your usual setup, or the equipment fails (particularly with computers – the blue screen of death!). [JB comment – Roland’s work seems to be based on small-to-mid scale touring bands, and focuses primarily on the practical issues around recording a live show when the venue parameters are unknown or are difficult to control. This is less of a problem I suggest, for very large scale tours where multi-track recording is easier to scale up, venue and rider parameters are known, and individual stems can be captured for future post-production and mixing]. The risks and benefits associated with all of these are discussed in more detail, with entertaining excerpts from Roland’s interviews with bands and transcriptions of his recordings of studio ‘negotiation’. That is, arguments with the drummer over the talkback. He provides a personal example where a producer asked him to play a (keyboard part) dynamic rise that had previously been programmed as velocity/volume mix automation; the producer became frustrated that a human keyboard player couldn’t reproduce the same volume curve as a mouse-drawn curve. 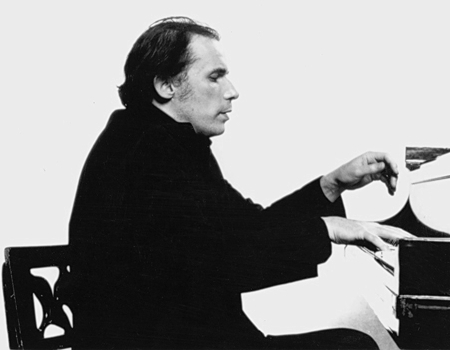 He discusses extraneous noise, including piano pedal noise, breathing, and mechanical drum kit noise, and notes that this is not a new problem, citing Glenn Gould’s notorious habit of singing along to his piano performance. The recording studio is now sited in the field of cultural production (like many music PhD scholars he uses Pierre Bourdieu’s terms). There is an allusion to the teamwork and power relationships inherent in a recording studio environment. He also notes the way that these negotiations and the technology/time constraints of the studio can introduce sonic artificiality into the performance. More studio arguments are transcribed. Roland concludes with the observation that the focus on high sound quality on the studio can actually be a hostile environment for a musician, and that musicians’ well-being is deprioritised in this situation. Paradoxically, the sonic priorities of a studio can prevent musicians from playing at their best.